Trip to Greece is incomplete if you don't visit its gorgeous islands. There are around 6000 islands in Greece but only some 200 of them are inhabited. The islands make up 7500 km of country's total 16000 km coastline. Greek islands are extremely popular among tourists. 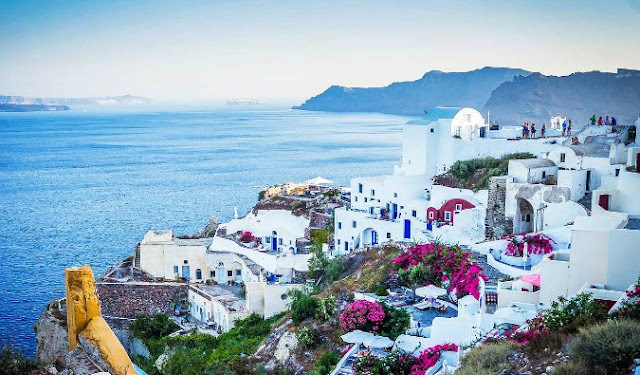 But whenever we say Greek Islands, the two names that come to our mind are Santorini and Mykonos. No doubt these are the most beautiful islands that you will ever visit. But they tend to get overcrowded during peak times. So its always better to have some options ready. 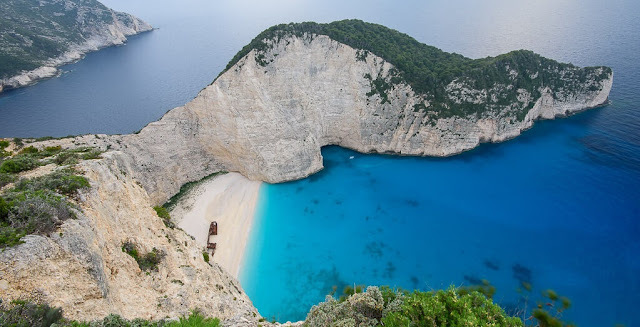 Here I am gonna tell you about 9 Best Greek Islands and what can you enjoy there. 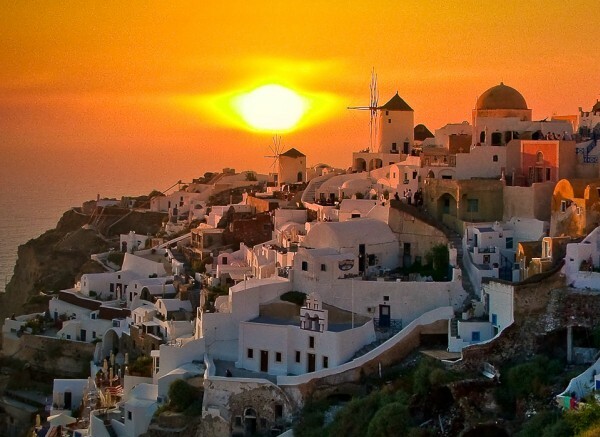 Everyone's and mine personal favorite of Greek Islands, is Santorini. If there is only one island that you can visit on your trip then make it Santorini. It has a perfect combination of archaeological sites, exotic beaches, an active volcano and breathtaking sunsets - all of which are a part of its romantic and picturesque scenery. Start with the archaeological site of Akrotiri. It is one of the most important Minoan Bronze Age settlements of the Aegean Sea. The site takes you back to fifteenth millennium when the island was just a small fishermen village. Some of the ruins are extremely well preserved that you can easily identify the houses and pots. Because of its volcanic formation, you can find white, red and also black sand beaches in Santorini. Red Beach is one of the most exotic and also most photographed beaches in Santorini. Its fantastic sea bed is ideal for snorkeling. Next, visit Oia, which is the most beautiful village on the island. Go cliff jumping and swimming in Ammoudi Bay which is the small port situated at the bottom of the village. Also make sure to watch the sunset from the village. It is considered as the most beautiful sunset in the world. You can always take a boat trip, visit a local winery and roam around through the alleyways. Then as always there are local cuisines to try out. Each Greek island is known for something special that it offers its visitors. Mykonos is known for its best hotels and nightlife. Popular beaches like Paradise Beach and Super Paradise have bars that blare thumping music. Pace yourself with drinks, enjoy every moment and get ready to watch the sunrise after an awesome night. 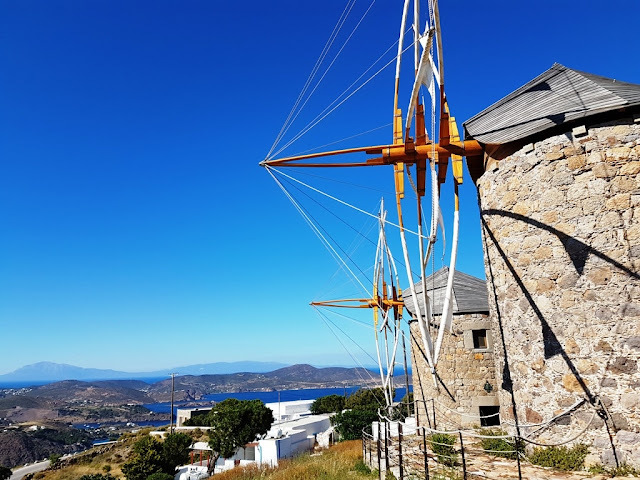 Iconic landmarks include a row of 16 century windmills, which sit on a hill above the Mykonos town, Little Venice. Those were built to grind grains and are now one of the most photographed sites overlooking the town. As the sun sets in Little Venice, the light shines off the buildings and bounces along the water, making it a perfect spot for a romantic night with your special someone. The other things to do can be stroll around the Mykonos Town, lose yourself in the winding alleyways surrounded by beautiful white buildings and bright blue doors which you can find in all the iconic images of the Greek islands. Crete is the largest of all the Greek islands. It's a place filled with everything from historic forts, plates of yummy Greek food and oodles of beautiful scenery. There is a whole heap of amazing things to do in Crete. Start by exploring the history of the city. Visit one of the monasteries here. You can visit the Holy Trinity Monastery located near Akrotiri and known for the best gilded interiors you will find in the city, else you can visit Sacred Monastery of Arkadi to see the bell tower and Corinthian Columns - considered as special and sacred thing to do in Crete. Another place to visit is the Knossos Palace which is the biggest Bronze Age site on all of the island and is often referred to as Europe's oldest city. The entry fee is €15, but its well worth it when you are on the island. Look out for stunning frescoes and amazing Throne Room. Next you can visit the fishing villages. Sissi and Loutro are the best choice. Loutro is literally a hidden gem which is accessible only by boat and a perfect place to relax on the waterfront, enjoy the view and grab some food on the front itself. If you like to enjoy city life, you can always go to Chania, the biggest city on the island. Make sure to wander to the Venetian Harbour, visit the old Light House and the Agora Marketplace where you will be able to grab some freshly picked figs. If you are an adventure lover who loves hiking and relaxing in the sweet harmony of mother nature, there are many places for you as well. One of the best routes in Crete is Balos Lagoon. Arrive pretty early in the morning to avoid the crowds and temperature that will be inevitably rising around midday. 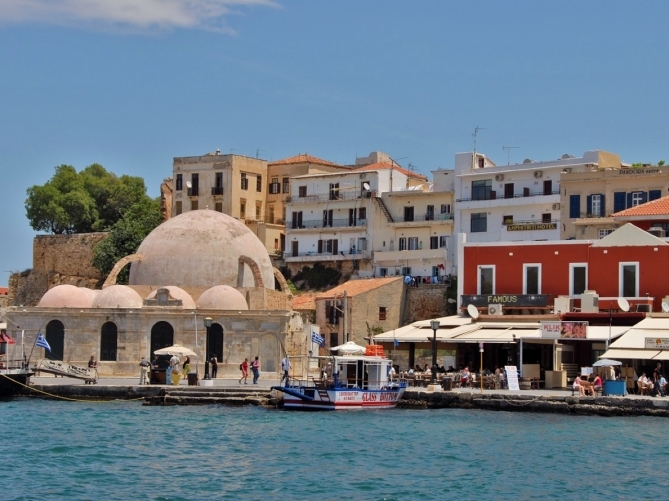 Else take a drive around the whole region, pop into the Sea of Crete for a dip and head to the town Agios Nikolaos for a bite. You can also explore Samaria Gorge National Park located on the other side of Crete. Zakynthos is among the hidden gems among all the Greek islands. It lies to the west of mainland Greece and many travelers have discovered this Ionian beauty. But its not that famous for travelers outside Europe. Most of you might be hearing its name for the first time. Besides having blessed with a jagged coastline, picturesque villages and hilly interiors, it is also small and easily navigable by car. One of the best places to visit on the island is Navigo Beach. It is also known as the Shipwreck Beach because of the shipwreck found here which was used to transport illegal cigarettes. The only way to get here is to get by boat. So join one of the many boat tours that will get you here or else rent a boat and discover the wonderful place by your own. Most of the activities in Zakynthos are beach related, so you will always find yourself around beaches. One thing that you should not miss in Zakynthos is swimming in caves. Blue Caves and Keri Caves are just perfect for these. Get your diving gear, join one of the boat tours and dive in to see the underwater life. Ohhh !!! That's too many beaches. Now take a break from beaches and explore some the towns and small villages on the islands. Start with Zante Town. It may not be among the most scenic cities in Greece but it certainly has its local flare. 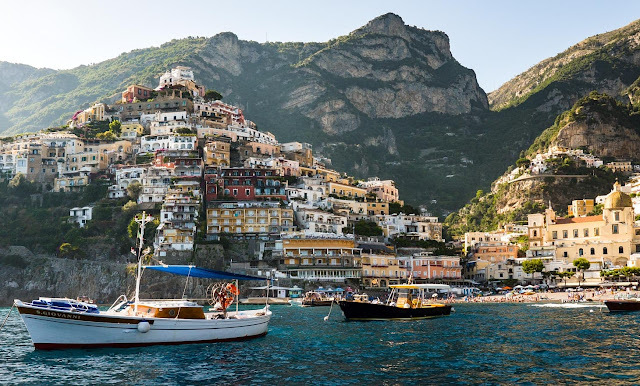 There are numerous restaurants, a few pedestrian only streets and a beautiful seafront promenade that faces a natural harbor filled with parked ferries, fishing boats and sailboats. There are also a couple of open plazas and plenty of shops and markets. If you don't have much time to explore the island, then the best thing you can do is book a Day Cruise. It takes you through all the major destinations like Navigo Beach, Blue Caves, Keri Caves and all other major attractions in just one day. There are also stops for swimming. Check out details here. The northernmost (and the most popular) of the Ionian Island Chain, Corfu is very close to the mainland Greece and the country of Albania. Due to its proximity and history with mainland Greece, Corfu was the first of Greek islands to experience mass tourism. Because of this, Corfu has many accommodation options, many restaurants and bars, and a more cosmopolitan feel than its neighboring islands. Start by exploring Corfu town. 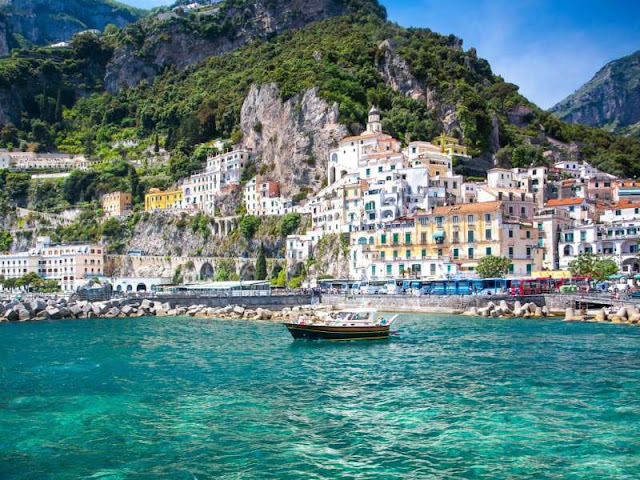 A UNESCO world heritage site known for its historic Venetian houses. Due to being under Venetian rule from 14th century to late 18th century, Venetian architecture can still be found here. With pastel colored houses with wrought iron balconies, wooden shutters, narrow lanes and numerous restaurants, Corfu Town is best when explored on foot. The cobbled streets are so narrow that laundry can hung on a line strung between two adjacent houses. Another most iconic place on the island is Vlacherna Monastery that juts out into the sea on its very own island. Nowadays, the monastery can be reached by a small track over the water, which makes it a lovely place to visit. The monastery is open all year round and welcomes all visitors. Another amazing place to visit is Palaiokastritsa, an intimate village nestled in the north-west of Corfu. Make sure to visit the monastery that goes way back to 1200's and take a dip on the main beach. It is a great place to spend a chilled morning in sun. 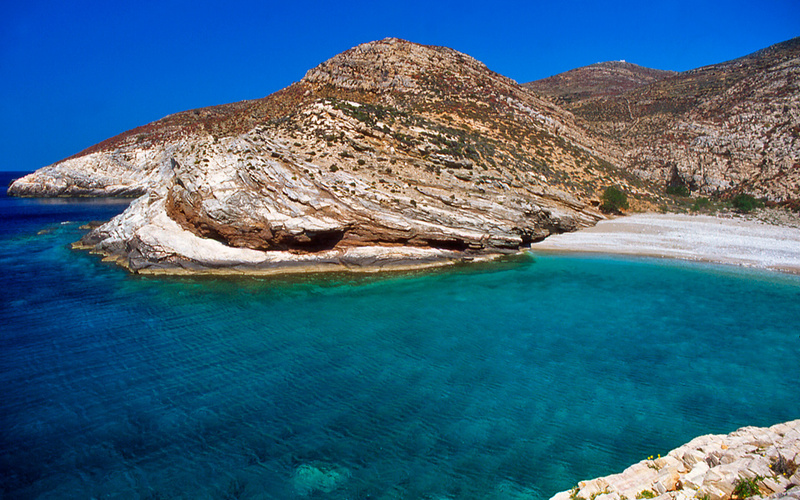 Folegandros is small and mountainous island in the south western Cyclades. Thanks to islands rocky terrain, it is relatively unexplored and uninhabited, ensuring an authentic glimpse into slowed down Greek island life. Start by visiting the largest settlement on the island. A village named Chora(pronounced as HOR-ah), situated about feet above sea level. Its white washed buildings perched atop the cliff and narrow streets unexpectedly opening into squares is instantly seductive. Access to all motor vehicles is forbidden, so visitors can easily wander the sinuous streets, discover shops and enjoy meals on a quiet square. Don't forget to visit Kastro, the oldest part of Chora and explore 1000 year old houses that are still in good condition. One of the best things about beaches in Folegandros is that there are very few or almost no people there. Completely secluded, you can have the entire beach for yourself. Angali, Katergo and Agios Nikoloas are among the popular beaches here. But the one thing that steals the show on this island is food. Most of the restaurants on the island are small with just 5 to 10 tables and serve delicious home cooked food. Don't forget to try one of island's specialties, Matsata(home made pasta) served with tomato sauce and any kind of meat you prefer. Ferries run between Folegandros and Santorini. The rates vary from €8 to €30 depending upon the ferry you book. Folegandros can be a good destination to visit after Santorini since it offers calm and quiet atmosphere to relax and just enjoy your travel. Naxos is the biggest and the greenest of all the Cyclades Islands. A gem of Greece, a happy and delightful jewel shining on the waters of Aegean Sea. Known for its lively villages, proud historic monuments and some lovely sandy beaches. There are many things to do in Naxos, from exploring the characteristic villages to trying out some water sports, Naxos has got you covered. 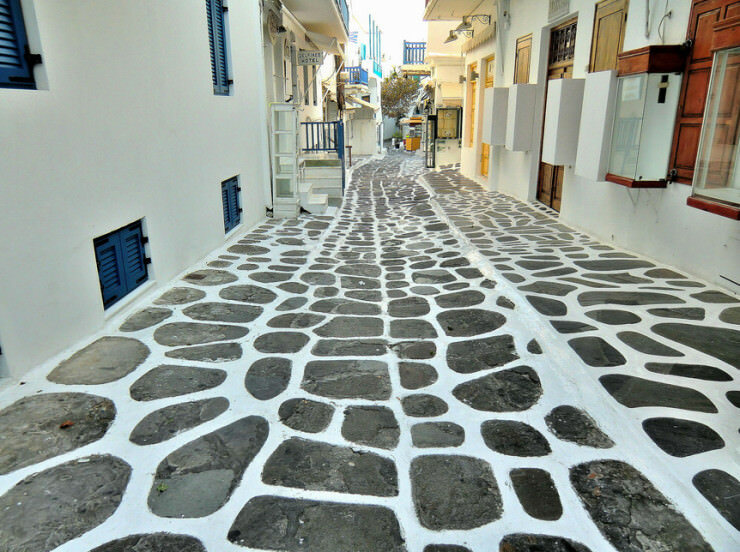 Here are a few things that you should not miss in Naxos. If you are visiting Naxos, then a trip to Portara is a must. Portara is a name that residents have allocated to marvellous marble doorway. It is located at a short walk from Naxos port harbor. This 2500 year old doorway was once a temple devoted to the God Apollo. Visit here during sunset to experience the palpable spiritual energy around it. 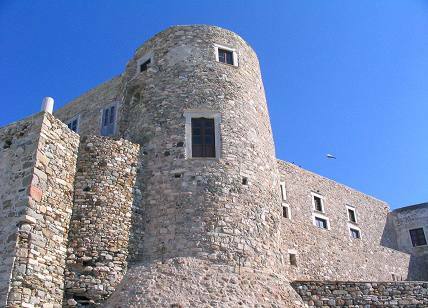 The Chora Castle or the Naxos Castle is another essential stop in Naxos. The interiors of the castle house many historical monuments like Boarding School of Ursulines, School of Commerce, a chapel of Duke, a catholic Cathedral and a tower of Krispi or Glezos. There are also many shops, cafes, restaurants, museums and art shops around the castle. After the cultural and spiritual exploration of the historic monuments, its time to get some adrenaline kick. Naxos is among the most popular spots for windsurfing in Greece. With shallow lagoons, gentle blue waves and ideal wind conditions make it a perfect spot for wind surfing. The best places to windsurf will be Laguna, Agios Georgios, Agios Prokopios and Plaka. These beaches are also perfect for unwinding the warm rays of sun shine. Agios Prokopios is the largest and the most desired beach on the island. The soft sand stretches for 1.5 kilometers, with golden streams of sun and gentle winds. Rhodes is the largest of the Dodecanese islands and also the fourth largest island in Greece. It is a popular European holiday destination. It is a highly preferred summer destination combining a rich history, So start by soaking in some history of the place. The best place to start is Acropolis of Lindos. There are temples dedicated to Athena Lindia and a Hellenistic stoa along with ancient walls and battlements. Another amazing place to visit is the Old Town of Rhodes which was declared as a UNESCO World heritage city. It was once home to one of 'the seven wonders of the world', the Colossus of Rhodes. If you are a sucker for good Greek food, then head on to Mama Sofia restaurant who will cook you the best local seafood. There are still many historical places to explore on the island likePalace of the Grand Master, Monastery of Tsambika, street of knights, Modern Greek Art Museum and Monolithos Castle. If you are a history buff, then this island is tailor made for your trip. After exploring the history, you can relax at Agios Pavlos Beach and Saint Paul's bay. It is one of the most popular beaches in Rhodes. But since it is a small beach, there is a relatively low number of people here as compared to the larger beaches. One of the most interesting things to do in Rhodes is rambling through the Valley of Butterflies. Just 15 kms southwest of the city of Rhodes, it is a place of incomparable natural beauty, surrounded by hills, with countless trees and streams. The best time to visit is between June and August. 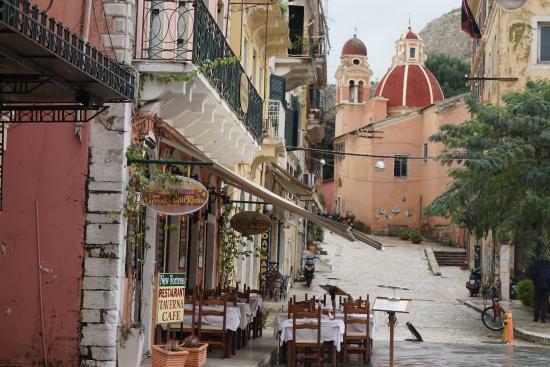 After enjoying the valley, head to the village of Psinthos to chow down some local tavernas. From Rhodes, you can also take a boat ride and go to Symi island which is well worth a day trip. The return journey will cost you around €20 - 40 and it tends to be cheapest if you book directly with the ferry. Here you can explore Chora and Pedi beach and stop off at Marathounda beach, Panormitis Monastery and the old town of Symi itself. Patmos is a tiny island perched atop the southeast Aegean Sea and enjoys bog reputation of being Christianity's most famous pilgrimage sites. It is bit difficult to reach Patmos and because of this lack of access the island retains the air of unspoiled retreat. The main attraction is obviously the Cave of Apocalypse, which is a UNESCO world heritage site. Its this cave where John of Patmos(St John the Theologian) is said to have written the Book of Revelations. It is also the most significant Christian pilgrimage site. Lying in the southern central part of the island, Chora is the capital of Patmos and is built around the towering Monastery of Saint John. The city ripples with white washed houses, beautiful mansions and courtyards flourishing with flowers. Visitors can revel in numerous charming restaurants, cafes and shops within the capital. Its narrow alleyways were originally built to avoid pirates and Turks, but a night walk through them is recommended for its romantic feel. Another great place to visit is the 3 windmills of Chora facing the Aegean Sea. Originally built to grind grains to make flour, now after restoration they are a cultural, educational and conservational attraction. Don't miss the village of Skala. It is the main port and the largest settlement on the island and is located right at the center of Patmos. 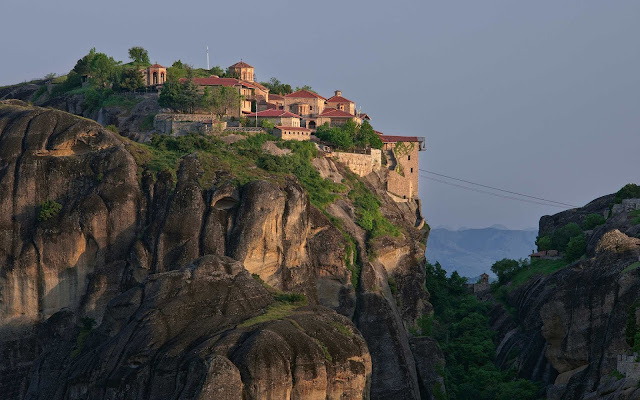 Some of the best places to look for are Church of Agia Paraskevi of Cavos, the Monastery of Zoodochos Pigi and the church of Panagia Koumana. You can also browse the picturesque taverns, restaurants, bars and shops filled with tasteful souvenirs and beautiful summer clothes. And then there is always gonna be beaches. The beaches here are less crowded and sometimes you may have the entire beach for yourself. Some of the famous beaches here are Agriolivado, Kambos, Meloi, Vagia and Lambi. These are some of the most beautiful islands in Greece. Which islands would you like to travel to ??? So this brings us to the end of our journey through Greece. Hope you enjoyed getting to know about Greek history, culture, festivals and traveling through this wonderful gem of Europe. Before closing, I would like to ask you one thing. Which is your favorite country from Europe and would like to know more about ? ?